HygienistPrep would like to recognize the authors and contributors of images and other content to the HygienistPrep program. With a combination of recently graduated dental hygienists and leading clinical specialists and instructors, HygienistPrep combines recent board exam experience with unparalleled expertise in development of high quality and pertinent NBDHE® review material. 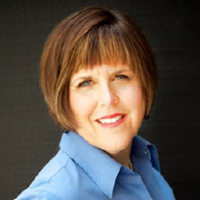 Christine Nathe, RDH, MS is currently Professor and Director at the University of New Mexico, Division of Dental Hygiene. She also serves as Vice Chair of the Dental Medicine Department at UNM. She has published numerous articles in dental hygiene venues and speaks worldwide on dental public health issues. Professor Nathe has practiced in various settings around the world including private practices, nursing homes, prisons, schools, and the military, and consults for various governmental agencies and the private dental industry. Her books Dental Public Health and Research: Contemporary Practice for the Dental Hygienist, 3rd Edition and Primary Preventive Dentistry, 8th edition are used throughout the world to educate hygienists on the science and practice of dental public health and primary dental care. She is an editorial reviewer of many dental hygiene periodicals worldwide. Also, Professor Nathe served as Chair of the American Dental Hygienists' Association Council on Public Health. Professor Nathe will be receiving the 2013 Colgate�/Irene Newman Professional Achievement Award in Boston this June and has received the Johnson & Johnson/ADHA Award for Excellence in Dental Hygiene, the Excellence in Teaching Award from the UNM School of Medicine, the Distinguished Alumni Award from Old Dominion University, School of Dental Hygiene in Norfolk, Virginia, Outstanding Alumni Award from Rhodes State College in Lima, Ohio, the Distinguished Alumnus Award from the Ohio Association of Community Colleges and the Distinguished Alumni Award in Dental Hygiene from the Ohio State University in Columbus, Ohio and most recently the Old Dominion University 40th Anniversary Outstanding Educator's Award. 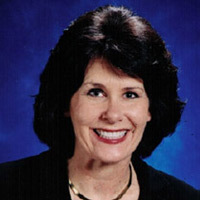 Professor Emerita at the University of New Mexico, Department of Dental Medicine, and currently a part-time Professor and Graduate Program Director at the Dental Hygiene Program at the University of New Mexico in Albuquerque, NM. She has been faculty at UNM for 27 years, and served as Dental Hygiene Program Director for 17 years. She has taught local anesthesia at the University of New Mexico, and nationwide for 17 years. Professor Logothetis is author of Local anesthesia for the Dental hygienist, Elsevier Publishing which won the 2012 PROSE Award in the category of Nursing and Allied Health Sciences, and author of SUCCESS in Dental Hygiene and High Yield Facts of Dental Hygiene both from Prentice Hall Publishing. Professor Logothetis received the Outstanding Alumni Achievement Awards from the University of Missouri-Kansas City and the University of New Mexico, the Roy J. Reinhart Professional Excellence and Service Award from the University of Missouri-Kansas City, the Faculty Teaching Excellence Award University of New Mexico School of Medicine, and the Outstanding Curricular Leadership Award from the University of New Mexico School of Medicine. As an assistant professor at the University of New Mexico, Elizabeth Kostas directed first and second year clinical dental hygiene and served as director of the Bachelor of Science Degree Completion Program. She also coordinated a periodontal clinic, taught numerous science courses and developed a research curriculum. While completing her Master of Science in Dental Hygiene from the University of Missouri in Kansas City, her work with educational consultants instilled an appreciation for learning materials that stimulate students' professional development. Throughout her career, she has continued to practice dental hygiene and strongly believes that the preventive, therapeutic, and educational role of dental hygienists will increasingly be appreciated as a central component of healthcare. She is a member of the American Dental Hygienists' Association and serves as a San Diego scholarship chairperson for the American Association of University Women. Kathleen Allen has been working in the field of dentistry for over 30 years. Her enthusiasm and passion for dentistry were instilled at a young age as she worked in her father's dental practice. She obtained her dental hygiene degree from Weber State University where she received the Dean's Award in Allied Health Sciences. She was elected as SADHA class President and later served as a component President for ADHA. She has occupied various leadership positions both professionally and in volunteer organizations. She currently resides in San Diego, California where she is a practicing clinical dental hygienist and a member of the American Dental Hygienists' Association. 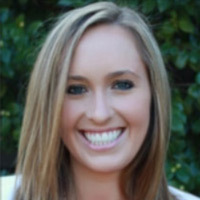 In addition to dental hygiene, Kathleen has an aptitude for writing and publishes a blog for a local fitness company. She is thrilled at combining both her dental and writing competencies in her current position as education coordinator for HygienistPrep. Kathleen thoroughly enjoys working with such talented authors and contributors and is excited to be part of this revolutionary product. Beth's career has been multifaceted including; clinical dental therapy, dental education, sales and marketing management, speaking internationally, writing and consulting. She is a graduate of Indiana University, is a Fellow in the Academy of Comprehensive Esthetics, formerly serving on their advisory board. Beth has written and presented dental continuing education courses for the past 30 years. Throughout Beth's career, her leadership and innovative talents have been recognized as she was selected by Scherer Laboratories to be one of the first dental hygiene sales representatives in the industry, she then in turn recruited and trained the first ever dental hygiene sales force, taking the product line to number one in less than two years. 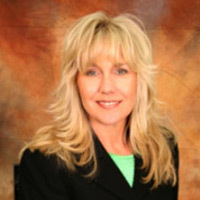 She teamed with the John O. Butler Company as Director of Dental Education, initiated the sonicare� sales force for Optiva Corporation, creating yet another industry leader in oral care, and serves as an educational consultant for numerous dental manufacturers designing educational and marketing solutions for new diagnosis and treatment products. 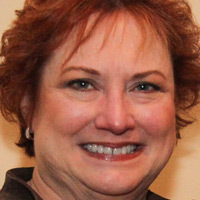 Beth is the director and founder of CareerFusion, LLC, now in its 10th year, the 1st resource of its kind for dental clinician career advancement. Her numerous years of varied successful experiences are shared with those interested in pursuing nontraditional career directions within health care, based on their educational and professional experiences. CareerFusion, LLC includes training resources and retreats for clinicians, industry leaders, and businesses, offering unsurpassed networking, leadership development, employment and career placement services. 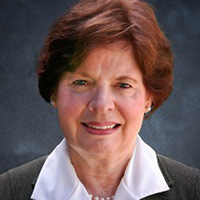 Susan W. Kormylo is currently in private practice in Salt Lake City, Utah and has been active in dental hygiene since graduating from Idaho State University in 1966. Kormylo has over 23 years in periodontal practice. Serving as president of the Utah Dental Hygienist Association on two separate occasions, she has also been active in the state associations of California, Arizona, Louisiana, South Carolina and Tennessee. Kormylo developed an oral health presentation for administrators and staff of long term care facilities in South Carolina and is presently writing for XPrep. Kimberly Jack received her Bachelors of Science in Dental Hygiene in November 2012 from West Coast University in Anaheim, California. She is laser and local anesthetic certified and is a current member of the CDHA and ADHA. She has also done volunteer work with CareNOW LA 2011 and the Braille Institute Orange County in 2012. Content was provided by the following outstanding dentists and dental hygienists.